The Bourgogne Wine Board (BIVB) is a non-profit association under the 1901 law. Built on the principle of each member having an equal voice, it defends and promotes the unique skills of the professions of winemaking, the négoce trade and vine growing, the heritage of a shared passion. Managed by elected members, the Bourgogne Wine Board (BIVB) brings together the wine region’s two families – viticulture and négoce – in order to define strategic aims. It comprises 300 maisons de négoce, 17 cooperative cellars, and 3,949 wine-producing estates. The trade board represents and defends the interests of Bourgogne wine producers. To that end, it carries out initiatives involving those in the trade and wine lovers, while at the same time providing technical support and market advice to wine professionals. Subjected to state financial control, the BIVB has an annual budget of around 10 million euros. Its revenue comes from obligatory subscriptions paid by wine professionals, which vary according to the category of appellation and the quantities produced. Recognized by an inter-ministerial decree (law of 10 July 1975), the BIVB took a while to reach its present-day form. It took its current configuration in 1989, following the merger of various wine trade committees and federations created since 1960. The BIVB is broken down into four departments, each with clear responsibilities. Each contributes to enhancing the wines of Bourgogne wines. The Technical and Quality department: comprising various skills, this main goal of this service is to provider expert support to wine professionals. To do this, it relies on the vintage observatory, on financing studies and research, quality monitoring, sustainable development, and so on. It contributes to the continual improvement in quality of Bourgogne wines, working with respect for tradition, whilst taking into account the latest discoveries, and all with respect for the environment. The Market and Development department: its mission is to carry out studies to aid wine professionals in planning their sales campaigns, both in France and abroad. The Marketing and Communication department is dedicated to the French and international promotion of the wines of Bourgogne. Through its activities, it supports the sales and marketing of the region’s wines. It conceives and diffuses suitable messages and campaigns. It mainly contributes to the training of market influencers (specialist wine stores, restaurateurs, importers, and so on), and supplies consumers with the information they need. 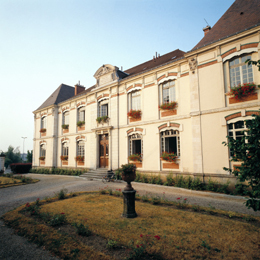 The Administrative and Financial department concentrates on the functioning of the Bourgogne wine trade. Bourgogne vs. Burgundy – What’s in a name? To re-affirm its identity as one of the most iconic ‘brands’ of France, the region and its producers are reverting back to the original French iteration of its name – Bourgogne. Historically Bourgogne is the only French appellation that adopted an alternate identity for export markets with the use of the ‘Burgundy’ appellation designation for the English speaking markets, or Burgund for the German speaking and many other translations according to the country. Today, this traditional ‘Bourgogne’ designation has already been adopted by nearly all the wines produced here – either via appellation designation or wine region labeling. By maintaining this one true identity, Bourgogne returns to its historical roots as the consummate ‘brand’ treasured by consumers the world over"